It’s that time of year again. When the weather gets warm and the lingering sunshine streaming through a window is a stark reminder that winter seclusion is over. Well, unless you live in the Northeast in which we’re beginning to believe spring has gone the way of the dodo bird. Hotlanta is likely a city living up to its name right now, so why not take advantage of it? You can start with a good cause. 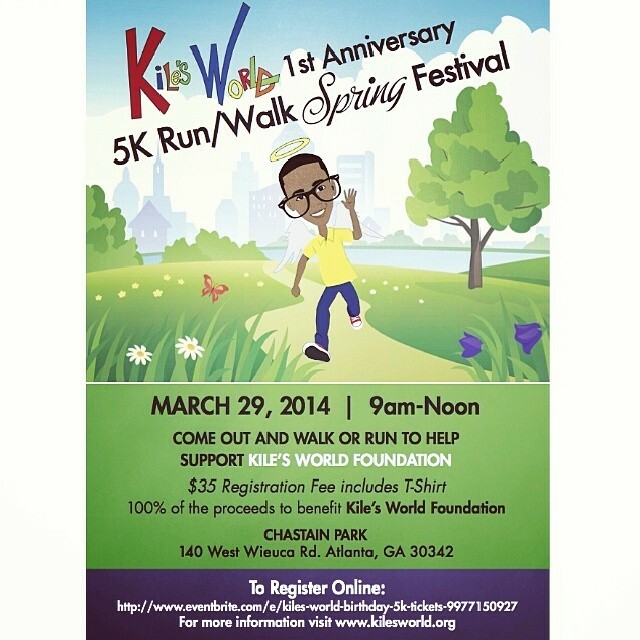 Like the one Usher Raymond’s ex-wife Tameka Raymond is promoting; a 5k run or walk event to support Kile’s World Foundation that honors her late son’s memory. It’s the first anniversary of Kile’s World 5k Run/ Walk and all money raised will go towards the Foundation’s Summer Camp that promotes kiddies in the arts. So lace up those kicks for charity. 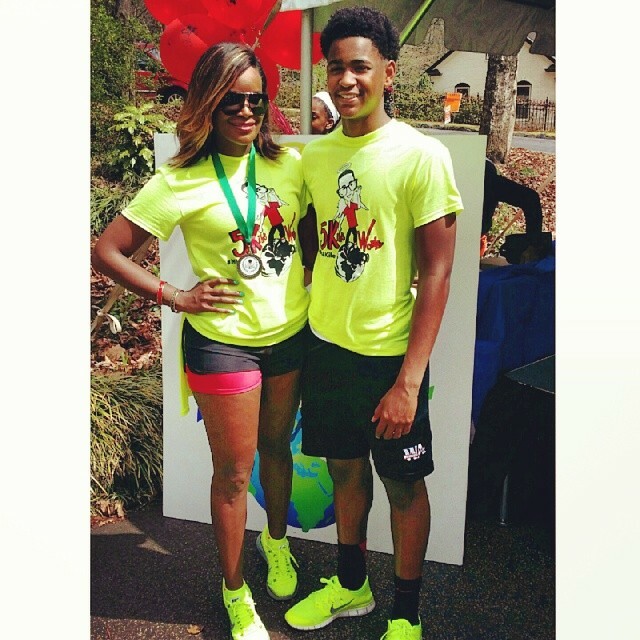 Tameka posing with her older son at Kiles 5K race and walk event. 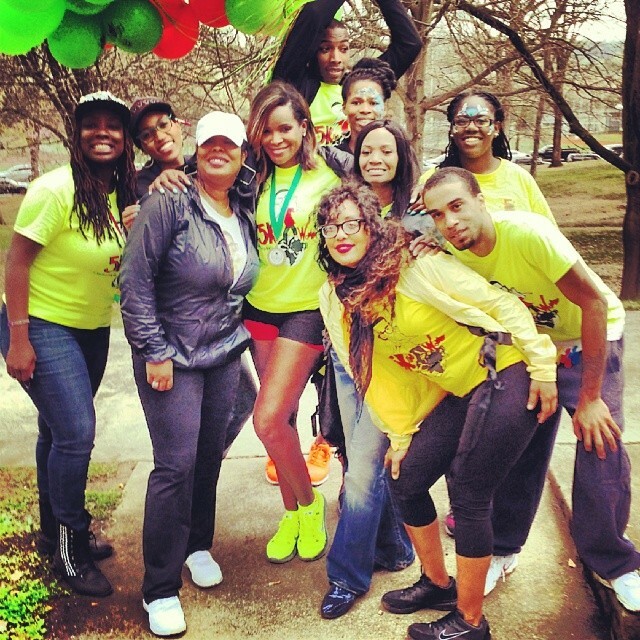 Friends, Family and Tameka’s whole crew joined in on the Kile World Foundation cause. 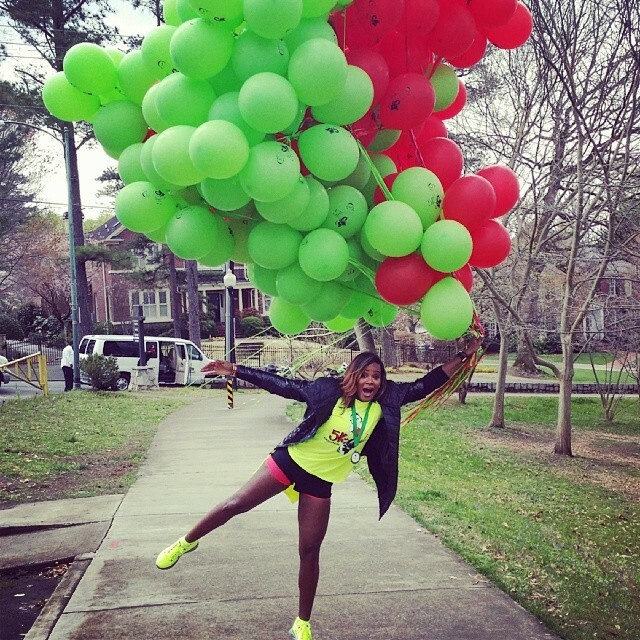 Big Red and Green balloons ready to lift off before the start of the 5K run/walk event.